I'm glad that theyre doing New Moon and Eclipse back to back. The vampires aren't supposed to age and by doing it this way itll cut it down loads. Can anyone Paste what Summit said this morning about the movie cause the picture in hisgoldeneyes doesnt work. 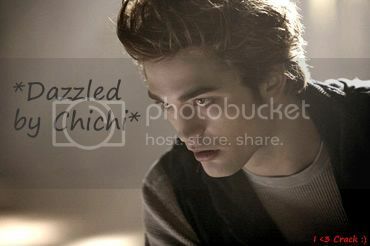 I just read that Catherine isn't going to be doing New Moon. Summit is a looking for a new director. Lynzeee wrote: WELL SAID navarre! ESPECIALLY the part about twilight not being good writing. It is good writing- not all writing as to be complicated and hard to freaking read to be a good book. Come on... Twilight is far, far away from being a good book. It's incredibly entertaining and it captured me completely, but it is incredibly badly written. No two ways about it. SM has a long way to go. I have to agree with you 100%. Twilight is a great book, very entertaining and easy to read. I personally love all the books in the series. However Stephenie Meyer is a fairly new author. When Twilight was published it was her first major novel. That being the case the book is not perfectly written. Think about authors like William Shakespear, Steven King, John Grisham, etc. There is no denying that Steph is not these writers. amandaxcullen wrote: I'm a little at ease now that I found out that Cathrine wont be directing but I'm not going to bash about her, I think she's a nice lady. I think the major thing was the screen writer. As for a new director, I think they should get either the director of LOTR series or the Harry Potter series because they kinda know what they're dealing with and they'll have a bigger budget and know how to make these things pop out of the book. I don't know if changing the director will be good or bad in the end...Hardwicke sincerely loved the books and tried to capture the atmosphere of the story, regardless the fandom expectations or the hollywood requirements. It will be hard to find at this time a director willing to commit to the project for reasons other than make a lot of money. I'm saying this because everywhere the Twilight saga is being labelled as a chick flick so, unless they find a director who is really really motivated to make something good of New Moon and Eclipse, I think we're going to get the umpteenth teen movie with a vague dark atmosphere. Regarding Peter Jackson, I don't think he will be interested in the project. He has already refused "The Hobbit" because he thought it was just too...commercial. Regarding HP, I don't know...I guess the best would be Alfonso Cuaron who is quite good in this kind of movies, but, again, I don't think it's a genre that could be appealing to him. Well considering the tone of the first book and how it focuses on the romantic relationship between Edward and Bella I can sort of see why the male demographic might be low. However the next film should be able to lure boys/men in and the third even moreso considering the intense direction the story takes. I'm kind of disappointed Hardwicke will not be directing New Moon. I really enjoyed the way Twilight was set up. The colors, the mood, camera angles, etc. It was all quite what I expected. Have they named a new director yet? We have a problem, Forks. Whether or not you fell in love with Hardwicke's vision, the director's finger was on the pulse of "Twilight" fans. She relentlessly scoured Oregon for Bella's and Edward's perfect meadow, the pivotal scene for most readers. She made sure Stewart and Pattinson would steam up the screen -- on her own bed, no less. She made sure the book's many characters were all accounted for, even arguably expendable folk such as Eric.) She even went so far as to film a scene from "Midnight Sun," Meyer's as-yet-unfinished retelling of "Twilight" from Edward's perspective, which will be included as a bonus for fans on the film's forthcoming DVD. Will Summit Entertainment be able to find another director so in touch with teens and just as passionate about the source material? I think this is bad. Catherine specializes in teen angst (New Moon's entire plot!). It is her thing. She is passionate about the books. I think she would have done a better job with New Moon, than she did with Twilight. Summit wants to churn out the money, and they are going to destroy the series. Because of all the screaming fans, they think Rob is a money maker. They are going to use him to make money, and screw the story. As usual, movie executives THINK they know girls/women, when they don't. We want the books on screen, Rob is just a bonus. The only way that this movie will be okay, is if they find a director who is passionate about keeping true to the books, and who also takes pride in his/her own work. I am almost positive they won't find one like that, because they will need more time and money just like Catherine did, therefore they will be wrong for the job (in Summit's eyes). This blows.... 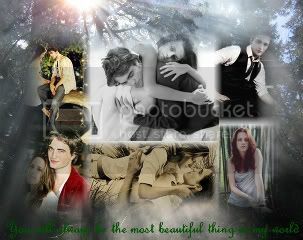 I didn't think Twilight the movie was perfect, but I would have taken New Moon done the same way. That would have been much better than the Halloween H2O version they are going to churn out. Catherine Hardwick had HER vision for Twilight, not Stephenie's. She diluted the whole story line and put in her interpretation of Twilight - there was NO vision, but her own narrow-mindedness of the story and its core/essence. She is fine in her genre of work - sufer dude, skate board, teen lust/angst, but that is NOT how SM has created her world. CH delivered to the screen an Edward that was totally unsure of himself and a Bella that was stuttery, choppy and ill at ease. Read the stories, Bella was an introvert, but she was quick, sharp and had a sarcastic wit that was clearly missing in the script and movie. Edward was controlled, confident, self-possessed. What we hear in the book is the internal turmoil of two people totally stunned and in awe of the other, but on the out-side they held themselves together. Summit, Hardwick & Rosenberg are culpable in this disgrace known at Twilight the Movie. Also, just because you can write a script for Dexter, does not mean you can write for a genre like Twilight. Not every writer and/or director is cut out for certain genres and they must know their limits or we get crap movies - like Twilight. I just hope for a director that shares SM's vision for her books. We're stuck with Rosenberg, but hopefully SM will be in the thick of New Moon forward.